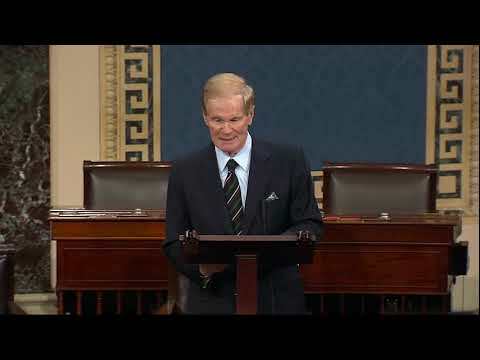 GAINESVILLE, Fla. (AP) — A collection of papers and other historical material spanning the 46-year career of former U.S. Sen. Bill Nelson has been sent to the University of Florida's George A. Smathers Libraries. TALLAHASSEE, Fla. (AP) — Groups aligned with Democrats have pulled some of their lawsuits challenging Florida election laws. Florida's close November election triggered a mandatory recount in three races. While the recount was going on, then-U.S. Sen. Bill Nelson as well as the Democratic Senatorial Campaign Committee, the Democratic National Committee and others filed several lawsuits. The lawsuits went after the rules that were being used to count ballots. 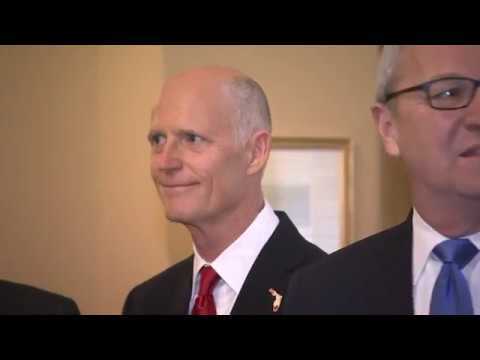 TALLAHASSEE, Fla. (AP) — Republican Florida Gov. Rick Scott will delay his swearing in ceremony as a U.S. senator so he can complete his term. Scott's office said Tuesday that Senate Majority Leader Mitch McConnell has agreed to hold Scott's ceremony on Jan. 8, the day his term ends. Other senators elected in November will be sworn in Jan. 3. Scott spokesman John Tupps said Scott made a commitment to serve Florida every day of his term. Florida's election is officially in the books two weeks after a contentious election that led to recounts and finger-pointing. Republican Florida Gov. Rick Scott says incumbent Democratic U.S. Sen. Bill Nelson was "gracious" to him in a phone call to congratulate Scott on his victory over the longtime politician. Scott told Fox & Friends on Monday morning that he told Nelson "if he has any ideas of how to do my job better, don't hesitate to call me." ORLANDO, Fla. (AP) — Sometimes voters put a check next to a candidate's name instead of filling in an oval that a voting machine can read. Other times, they mistake the abbreviation for "Republican Party" with the abbreviation for "Reform Party" and pick both in the same race. Some voters just cast blank ballots. 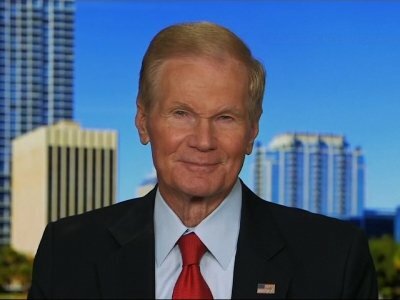 A survey of 64 of Florida's 67 counties by The Associated Press put the number of overvotes and undervotes Thursday evening at 53,769 ballots in the U.S. Senate race between incumbent Democratic Sen. Bill Nelson and GOP Gov. Rick Scott. 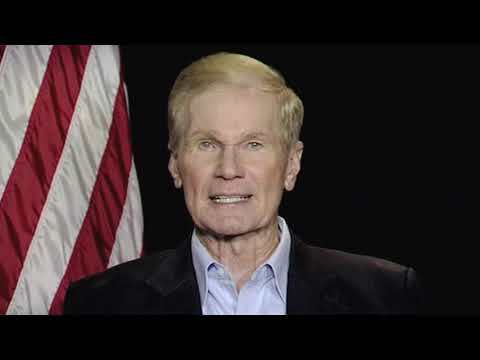 FORT LAUDERDALE, Fla. (AP) — Lawsuits and judges' orders have been piling up across Florida as the state struggles through vote recounts for several races, including U.S. Senate and governor. FORT LAUDERDALE, Fla. (AP) — Retired Judge Robert Rosenberg was front and center 18 years ago in Florida's infamous recount in the presidential contest between Republican George W. Bush and Democrat Al Gore. "I had a job to do, and I wanted to do that job," Rosenberg said. Florida's Democratic gubernatorial candidate says claims of electoral fraud without evidence by President Donald Trump and Florida Gov. Rick Scott were sowing seeds that could undermine confidence in the democratic process. FORT LAUDERDALE, Fla. (AP) — At the center of Florida's vote recount storm is an elections supervisor with a checkered past whose Democratic-dominated county has been the target of protests and accusations, including by President Donald Trump, that something fraudulent is afoot. Officials from the county's elections office confirmed Saturday evening that they've started a machine recount, which means they will load paper ballots into scanning machines. This could take days, considering there were some 800,000 ballots cast. TALLAHASSEE, Fla. (AP) — Florida Democrats tried something new and got the same result, losing the sixth straight governor's race, possibly losing all three Cabinet seats on Tuesday's ballot and winding up with a Senate race that's too close to call. In short, the Democrats' blue wave hit President Donald Trump's figurative red wall, and once again Florida maintained its reputation for close elections — with Republicans having the edge. TALLAHASSEE, Fla. (AP) — Florida Democrats tried something new and got the same result, losing the sixth straight governor's race, possibly losing all three statewide offices on Tuesday's ballot and winding up with a Senate race that's too close to call. WASHINGTON (AP) — Senate races in Florida and Arizona were too close to call Wednesday, raising the possibility of President Donald Trump gaining a more comfortable Senate majority. FORT LAUDERDALE, Fla. (AP) — Republicans scored key victories in Florida as Ron DeSantis won the governor race. The GOP also won two of three Cabinet races and led in the third. The outcome of the Senate race between Gov. Rick Scott and incumbent U.S. Sen. Bill Nelson remained so close Wednesday that it appeared to be headed for a mandatory recount. Voters casting midterm election ballots in Florida are divided over the state of the nation, according to a wide-ranging survey of the American electorate. As voters cast ballots for governor, U.S. Senate and members of Congress in Tuesday's elections, AP VoteCast found that 47 percent of Florida voters said the country is on the right track, compared with 51 percent who said the country is headed in the wrong direction. TALLAHASSEE, Fla. (AP) — Voters in Florida are electing a U.S. senator, a new governor and several new members of Congress while also deciding to whether approve 12 proposed changes to the state's constitution. TALLAHASSEE, Fla. (AP) — Florida's 2018 midterm election is one of the most important in years. The governor's office and all three Cabinet seats are on the ballot; Republican Gov. Rick Scott is challenging three-term Democratic U.S. Sen. Bill Nelson; several congressional seats will be competitive; and Floridians will vote on 12 proposed constitutional amendments. Here are items of political interest from the past week. MIAMI (AP) — Former President Barack Obama told attendees at a Friday campaign event for Florida's Democratic candidates that democracy can't work when words stop having meaning. 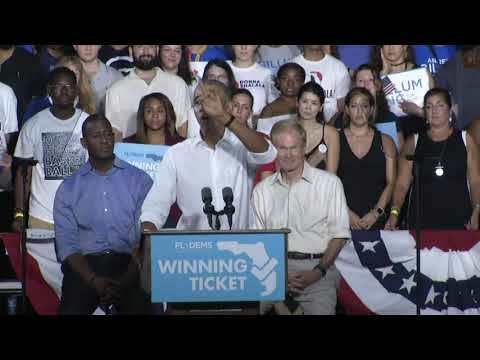 Obama encouraged a crowd of more than 4,000 to vote for gubernatorial candidate Andrew Gillum, U.S. Sen. Bill Nelson and others during the event in Miami. A Florida nursing home where eight people died after Hurricane Irma will no longer receive state Medicaid funds. Gov. Rick Scott announced Thursday night that he has directed the Agency for Health Care Administration to terminate the Rehabilitation Center at Hollywood Hills as a Medicaid provider. The program provides health care for low-income individuals and families. HOLLYWOOD, Fla. (AP) — Florida seniors were ushered out of stifling assisted-living centers Thursday while caregivers fought a lack of air conditioning with Popsicles and cool compresses after eight people died at a nursing home in the post-hurricane heat.